There is a growing reality that without urgent help, the very lives and culture of the people living on the thousands of "at risk" remote islands spread across the South Pacific will slowly fade from existence. These remote and forgotten people are under constant attack from natural, government and even self-inflicted dangers. What were once proud, self-sustaining and thriving communities are now deeply dependent on government support. A support that is unnecessary and destroying their very culture, health and way of life. It is also creating a mass exodus of their youth and talent from them. 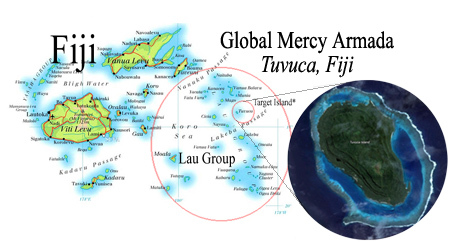 Since 2012, Sea Mercy has been serving the people living on the hundreds of remote islands of Tonga, Fiji and Vanuatu. 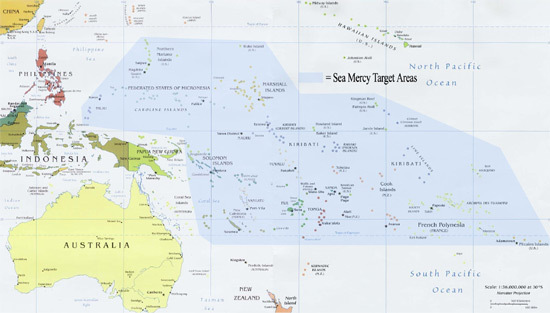 In October of 2015, while working directly with the Ministry of Rural & Maritime Development of Fiji, Sea Mercy sent a team of experts in water, health, agriculture, education, and economic development to evaluate and assess not only the needs on each remote island in the Lau Group, but their potential for self-sustaining short, medium and long-term health, agriculture and economic development programs. Programs that will transform them from simply surviving, to once again become growing and thriving communities. With the support and approval of the island leadership and citizens, and working closely with our island nation government (see Fiji Letter of Commitment here), we have developed the resources and partnerships needed for these programs. For most of the remote islands, the natural resources and labor are already there, but to implement the full GMA program in 7 weeks, What we need are a few international heroes (vessels and volunteers) willing to help us. Most remote islands rely on water catchment and storage of rainwater during their wet season (November through March) as their only source for clean drinking water to carry them through their dry season (April through October). This limited access to clean water has prevented many of them from adding any short, medium or long-term agricultural based programs for their community, including growing personal or community gardens which has developed a heavy reliance on imported (and unhealthy) food sources. With the support and expertise of our partners, we will correct the currently limited and broken water delivery infrastructure and expand it to sustain the drinking and agricultural water needs on each remote island. With water production and storage capacity is in place, we will begin the training, preparation and implementation for the short-term programs. We start with a Healthy Gardens program where we train and assist with the planting, growing and harvesting of healthy and self-sufficient personal and community gardens. Simultaneously, we help them implement their agricultural based economic development programs that will help support the ongoing financial needs of their village. These easy to implement programs can range from Beekeeping (honey production), Virgin Coconut Oil production and Dilo Oil Production (the latter two grow naturally on most remote islands). We will also be training and assisting the local citizens to prepare and plant medium (i.e. Vanilla, Cacao, Coffee, Ginger, etc.) and long-term (Sandalwood and Teak) income generation crops that will eliminate their dependency on government assistance and help redefine the future the young adults and/or skilled labor looking to earn a living from their island. We believe this 7-week program will restore the lost personal pride of these remote island people and provide a promising future. 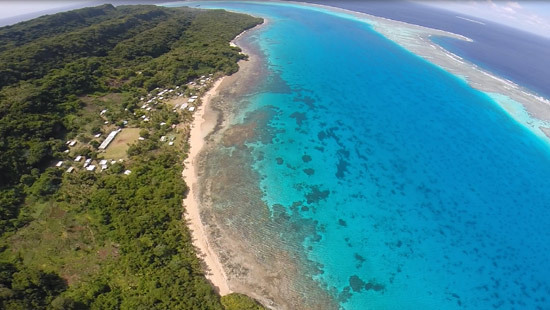 Why the Lau Group in Fiji for 2016? In the South Pacific, one of the most important criteria for the success of our programs is the amount of direct involvement and support provided by the island nation government, key local partnerships and local infrastructure. In Fiji, we not only have the support of the Fijian government, we also have key local and international partnerships, and a local organizational infrastructure in place to support it. Our regional corporate office is based in Port Denarau Marina (Nadi, Fiji). This allows us to stage the vast amount of supplies and equipment needed for the 2016 program and to support the volunteer fleet that will deliver it. We also have developed a deep understanding of the needs on these remote islands. For 3 years our Floating Health Care Clinic (FHCC) vessels have been dedicated to serving the Lau Group islands from April through October. This has allowed us to build the relationships and trust needed on each remote island. Our FHCC vessels also provide us with a consistent service delivery platform to provide the ongoing support and training needed for the ongoing success and support of these programs long after the 7 week GMA program has ended. Although this will be the most incredible "working holiday" you will ever experience, please understand that this is NOT a island vacation getaway. Instead, our goal is to operate each GMA week at cost and provide an opportunity for as many people to participate that wish to join us. Based on past operational costs, below are the per volunteer cost of joining a GMA week. To participate in any of the above GMA rotations, please select the below 2016 GMA Registration form button or email us with any questions. Join the Global Mercy Armada Program! Volunteer Registration! Click here for more information on Land-based Volunteer Opportunities and/or to register for one or more weeks (from June 8th to July 27th). GMA Target Island of Tuvuca. Click here to learn more about the initial target island and the 7-week program plan.